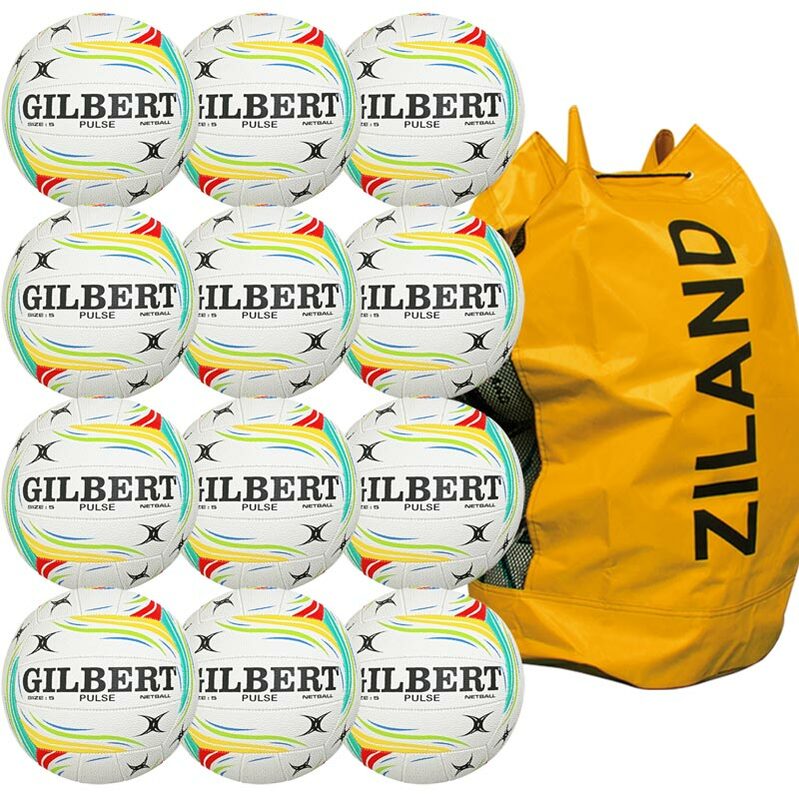 Gilbert ® Pulse Match Netball 12 Pack are designed and developed to provide outstanding performance in all conditions. 12 x Gilbert Pulse Match Netballs. For club use on any surface. Quality blended rubber surface, 3 Ply lining to retain ball shape. Great balls & even better that they came with a really good bag - easier to carry than ones we've had in the past. Will be ordering more soon for our club.